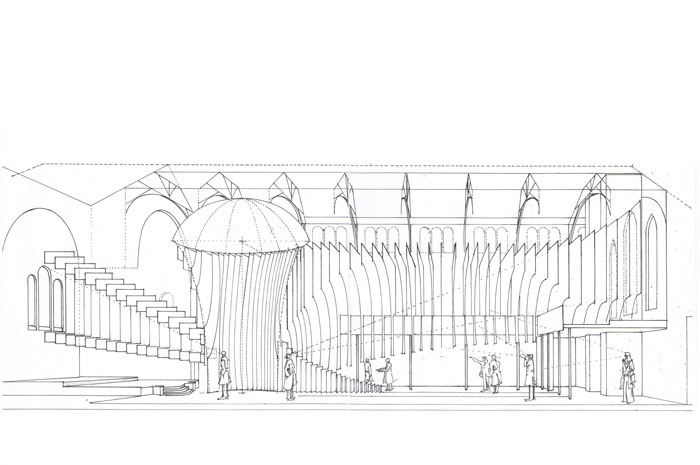 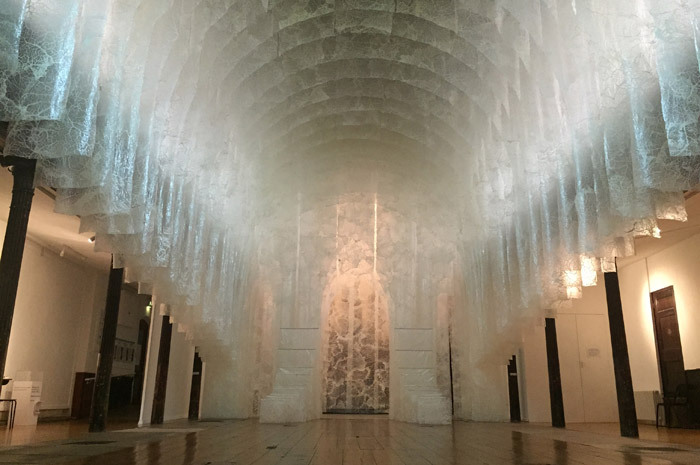 Taking over the length, breadth and height of the church the installation, Fragility, utilises Hadzi-Vasileva’s appropriation of unusual materials, in this case pigs caul fat. 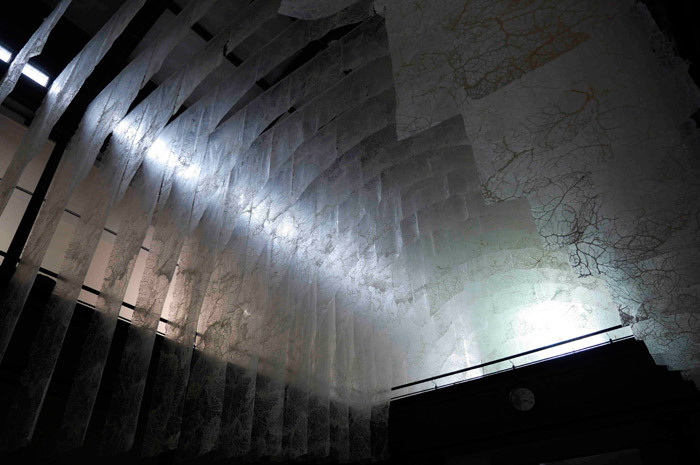 Exploring the expérience de mort imminente or near death experience, Elpida has focused upon the light seen and discussed by those effected, employing the architecture of Fabrica to route light through animal membrane - juxtaposing experience and materiality. 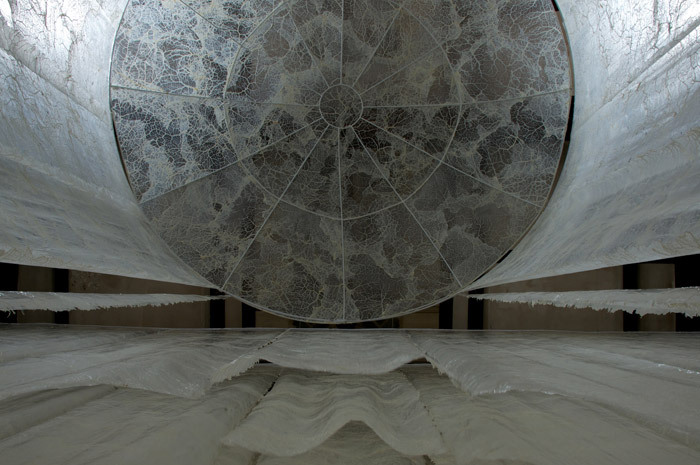 Fragility, like much of Elpida Hadzi-Vasileva’s, works over the past decade, re-appropriates animal viscera. 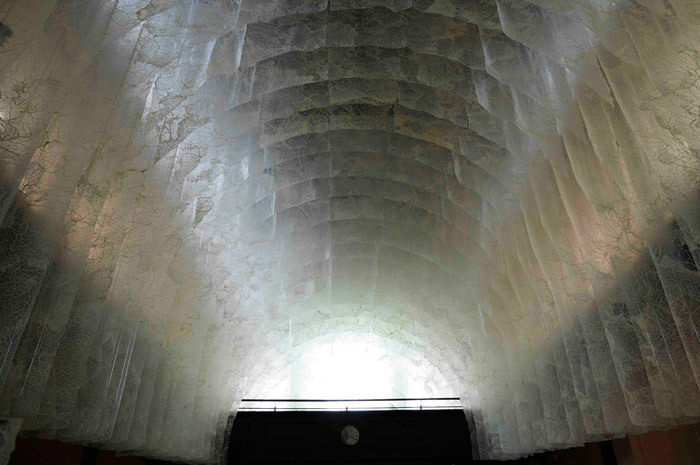 In this instance she uses pigs caul fat, a membrane that holds the vital organs together, transforming it from a perishable waste product of the meat industry into a sublimely beautiful material via a chemical process akin to embalming. 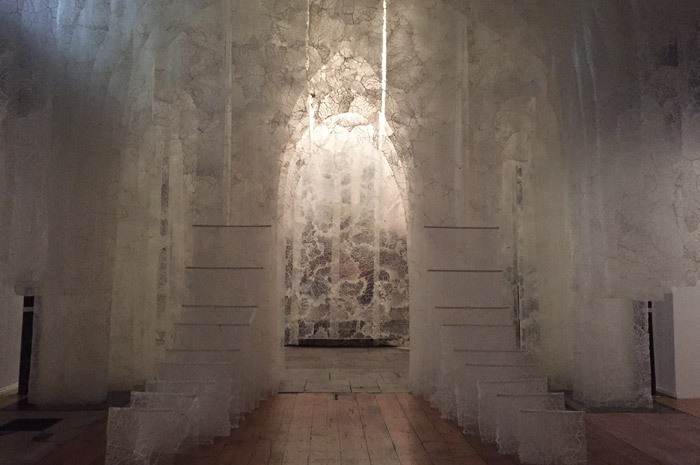 Fragility considers our attitudes to beauty and decay, our perceptions of finitude and the role that the body and bodily material play in Christianity and Christian art. 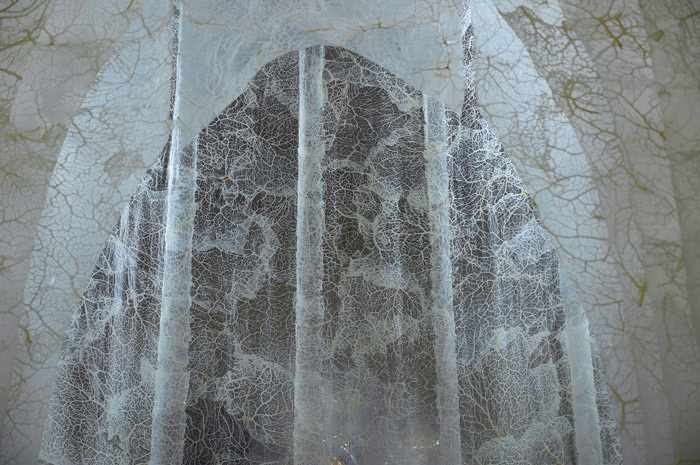 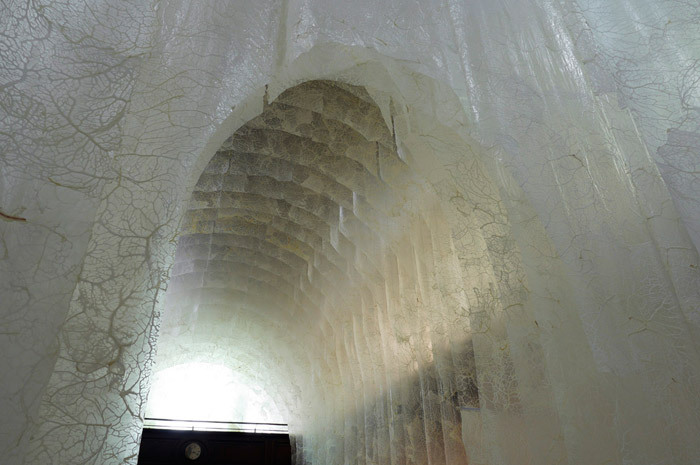 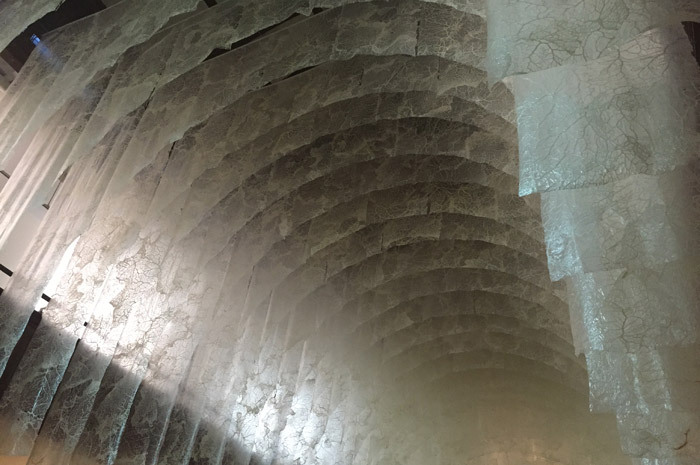 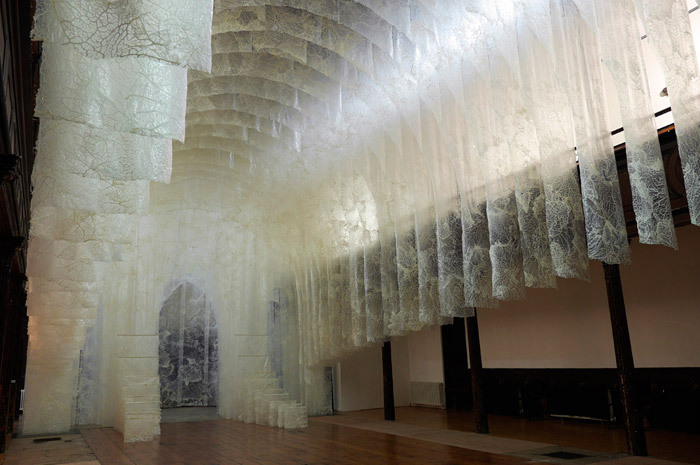 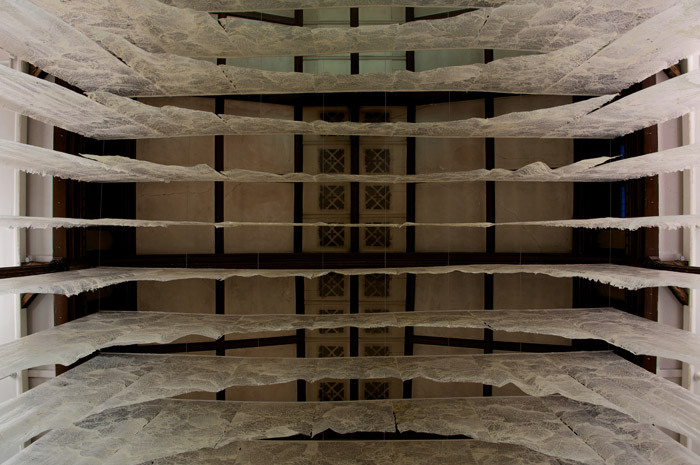 Located in a church re purposed as an art gallery, this signature work exemplifies Hadzi-Vasileva’s commitment to place and context.